Granite City Gearheads » Blog Archive » On To State, and Other Plans! Posted by Lori Dale On May 15, 2018 Comments Off on On To State, and Other Plans! 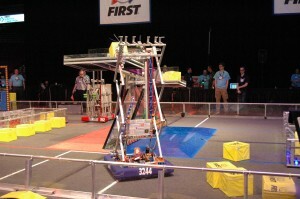 This Saturday, the Gearheads will compete in the Minnesota State Robotics Competition in Mariucci Arena on the U of M campus. We are all anxious to have another chance to show what Super Sir Antsabot can do, and also what the team can do. 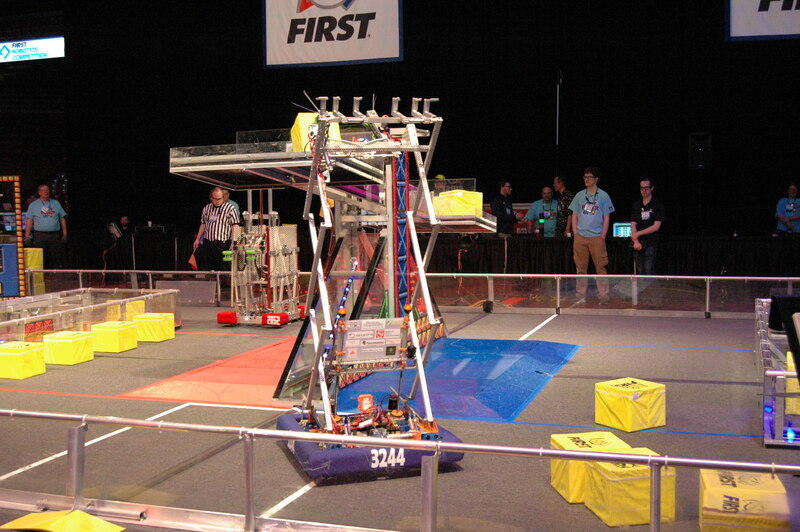 We have had a very good year and did well at the Medtronic Foundation Regional and the FIRST Robotic Championships in Detroit. We hope to put the capstone on the year by doing well at State. If you have some free time and are in or near the Twin Cities, we would love to see you, and hear you, cheer us on! Otherwise, check here and see if there is a live stream https://www.thebluealliance.com/event/2018mnsc We will update this information if more becomes available. After taking a couple of weeks off to recharge our batteries, the team will be back in action. We currently plan to be in 3 parades this summer; Waite Park, St. Cloud and St. Joseph. 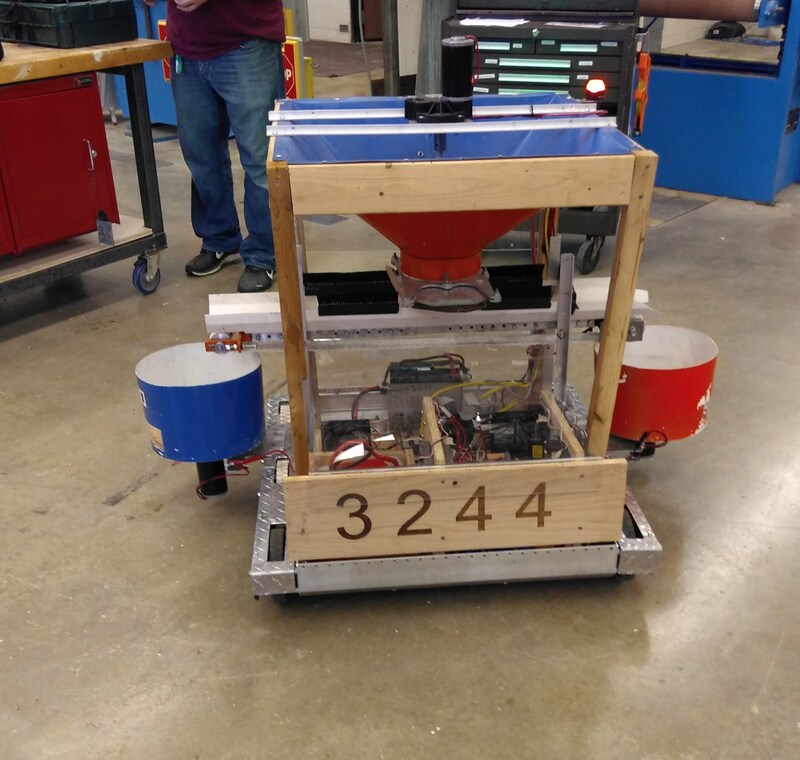 This week we finished getting Candybot, our candy dispensing robot, cleaned up and running so that it is ready to go. We may have a couple other surprises, so be watching for them! 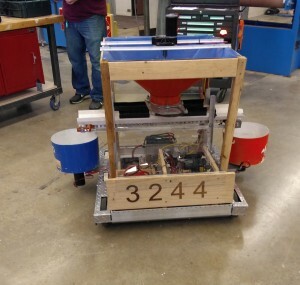 Here is a picture of Candybot from this week's meeting. We also have one competition scheduled for this summer, and 1 or 2 for the fall (preseason), so stay tuned for more details about those, and some fundraisers to help refill our bank account that was depleted by the expenses related to our trip to Championships.